Well...........recently, in a restaurant, I tasted this koottu , served in a thali meal, and I tell you, the taste was divine!!! Then, I scrutinized the recipe, trying to guess what all could have gone inside this tasty dish, mentally visualized how the recipe would have been made......came home, tried it, viola!!!! 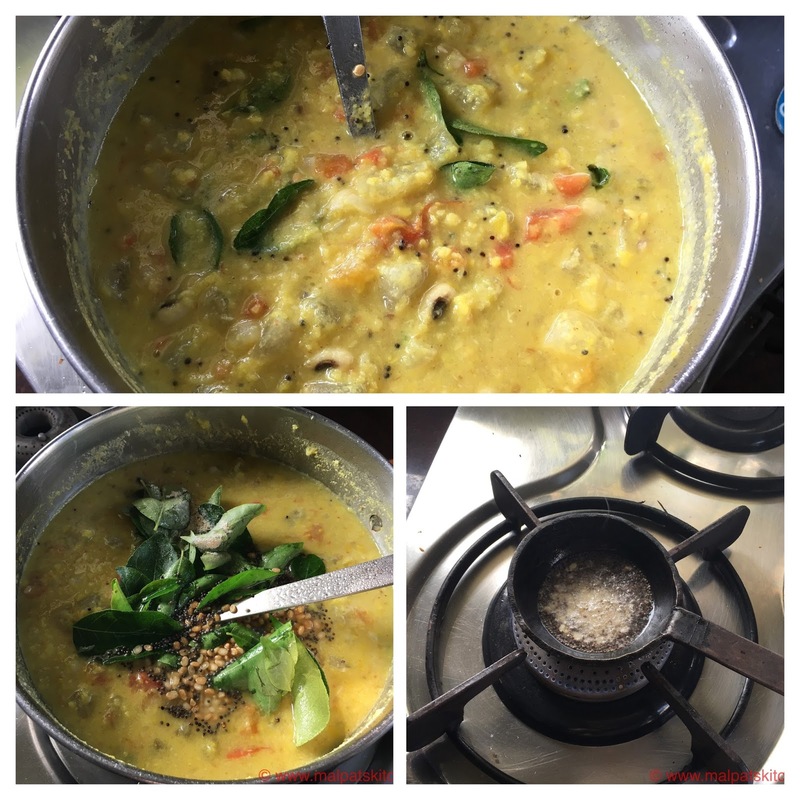 it was the same....feel so happy to share this wonder-koottu recipe with you all. 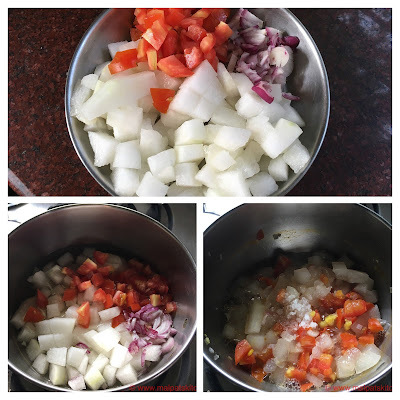 It is a nice twist to the usual mundane south indian koottu varieties. 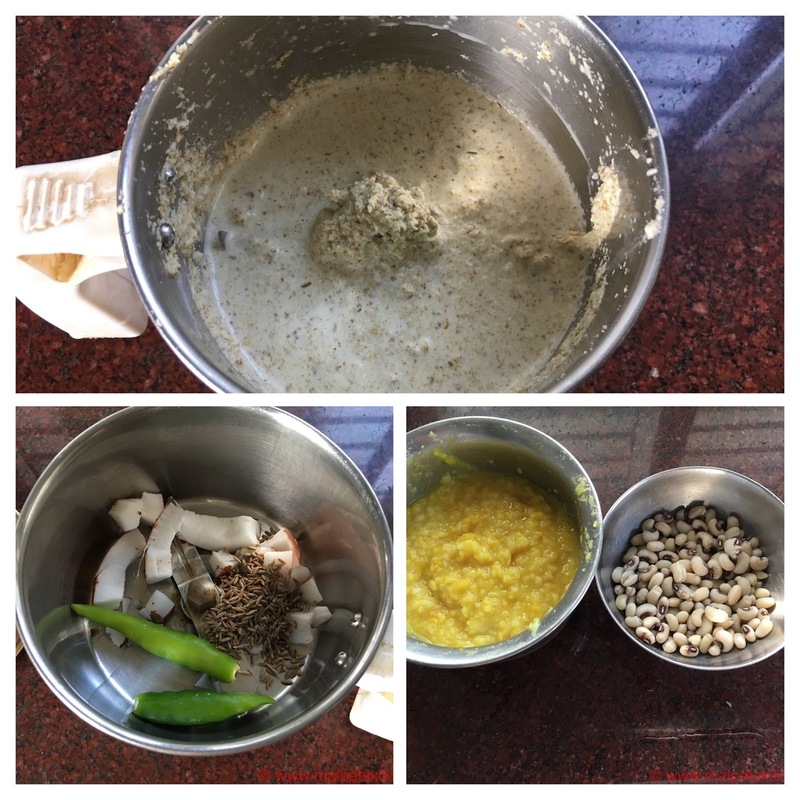 It has the low-cal ash gourd/white pumpkin, protein rich split mung dhal and black eyed chick peas/karamani, lycopene rich tomato, and cholesterol reducer pearl onion. So, what more you need???? And, this is a nice side for chapathis also. This happens to be my 300th recipe.....thank you all!!! You may please refer here for my other varieties of koottu. 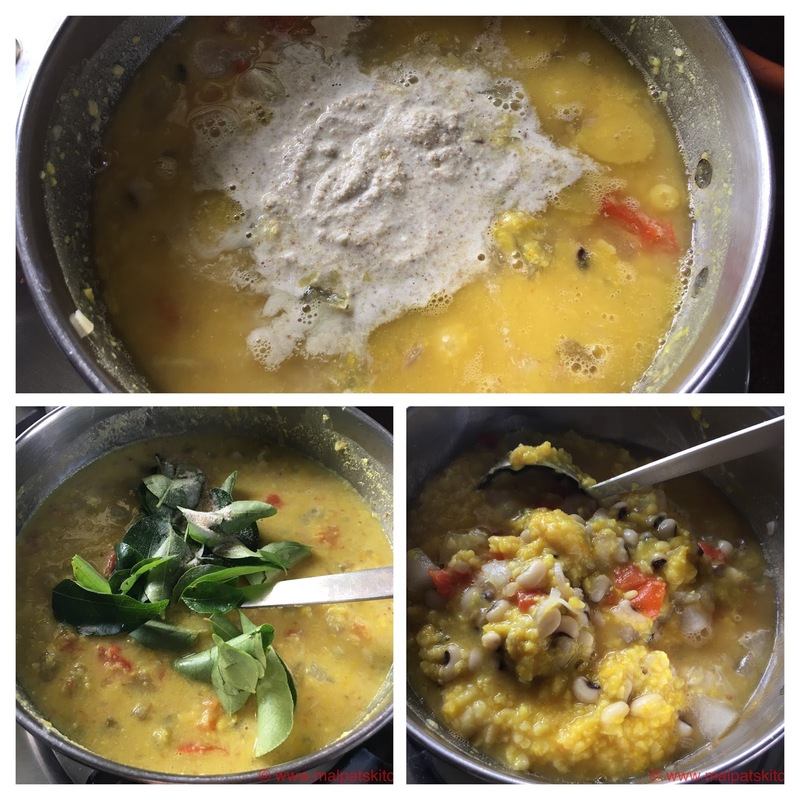 Coconut oil getting heated in the seasoning pan, mustard seeds and broken urad dhal added, and on top of the curry leaves, add the asafoetida powder, and pour the seasonings. Mix well. Serve with soft, hot phulkas. * Any other vegetable can be made into a koottu in the same method. *Instead of karamani / black eyed beans, any other legume can be used too. It is an unusual combination of ash gourd and onion for a kootu.Looks tempting and inviting. Must try this variation.whiff of coconut oil certainly enhance the aroma. Thanks for posting. A dish quite similar to traditional food styles in South Asia. The method of preparation and the pictures are nice components of the post. However more bright words could have been used to make the post reader friendly.